Dr Partha Basu joined the Screening Group of the International Agency for Research on Cancer (IARC), Lyon, France, in 2015 after working as a gynaecological oncologist at Chittaranjan National Cancer Institute, Kolkata, India, for 20 years. Dr Basu obtained his MD from Indira Gandhi Medical College, Shimla, India, and is a Diplomate of the National Board of Examinations (DNB), New Delhi. He was trained in gynaecological oncology at Hammersmith Hospital, Imperial College London. Dr Basu conducted several community-based research projects to evaluate new cervical cancer screening tests, novel methods of treating cervical precancers, and prophylactic and therapeutic vaccines against human papillomavirus (HPV). Involvement in these projects helped Dr Basu to gain vast experience in colposcopy and also to collect images and videos to prepare this atlas. He has conducted training courses in cervical cancer screening, colposcopy, and management of cervical precancers all over India and abroad. Dr Basu is an author of 65 publications in international peer-reviewed journals and more than 20 books/book chapters. He has contributed to several World Health Organization (WHO) guidelines and has served as a consultant to the ministries of health in India and several South Asian countries and also to the United Nations Population Fund (UNFPA). Dr Basu is the founder secretary of the Asia-Oceania Research Organisation in Genital Infection and Neoplasia (AOGIN)-India and the past vice-president of the Association of Gynecologic Oncologists of India (AGOI). Dr Rengaswamy Sankaranarayanan is a radiation oncologist and epidemiologist. 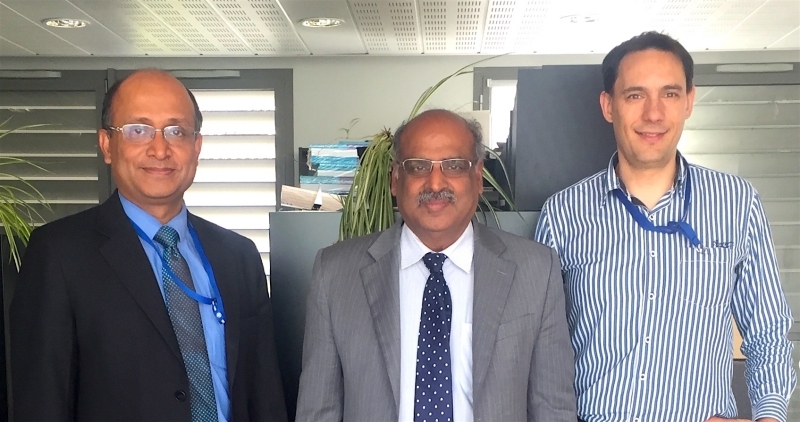 After working for several years in clinical oncology and cancer control in India, he joined the International Agency for Research on Cancer (IARC), Lyon, France, where he is currently Special Advisor on Cancer Control to the Director of IARC and Head of the Screening Group in the IARC Section of Early Detection and Prevention. His main interests are in research, training, programme development, and technical assistance in the early detection and control of cancer, particularly breast, cervical, oral, and colorectal cancers, in low- and middle-income countries. He has organized and taught in more than 40 international courses on screening for cervical cancer (including colposcopy, diagnosis, and treatment of cervical neoplasia), breast cancer, oral cancer, and colorectal cancer, as well as cancer registration, cancer epidemiology, and cancer control. He is an author of more than 165 papers in international peer-reviewed journals. Mr Eric Lucas is a Health Information Systems Specialist who joined the Screening Group at the International Agency for Research on Cancer (IARC), Lyon, France, in 1999. His work includes designing health information systems and monitoring field studies, pilot projects, and national programmes, specifically in low- and middle-income countries. Mr Lucas is involved in the development of digital teaching materials (e.g. image atlas, digital tutorials). He was previously involved in cancer registration at IARC in the Unit of Descriptive Epidemiology. He has served as a consultant to the World Health Organization (WHO), the United Nations Population Fund (UNFPA), the European Union (EU), PATH, and JHPIEGO in different African, Asian, South American, and European countries to help them to implement and monitor cancer prevention and early detection activities.